Alright, Junior, with its collection of different musical and geographical backgrounds, brings a mix of styles together to create a rock sound unheard for quite a while. Courtesy Alright, Junior Alright, Junior is Jace Miller and Steve Demeo on guitars and vocals, Greg J. on the bass and Mike Fraclose on the drums. After getting its start in the spring of 2006, the four-piece band now features Jace Miller and Steve Demeo on guitars and vocals, Greg J. on the bass and Mike Fraclose on the drums. Though the band members all hail from different places in the Tri-State area, they said they decided to move their operations to Philadelphia. Each of the members has been putting his energy into music for 10 years, and the band is reaping the benefits. This hard work, Miller said, has allowed the band’s music to sound more genuine and helps influence its members to continue pursuing music as a career. The band members have no side projects right now, focusing all their energy on Alright, Junior. Though the band isn’t signed to any label at the moment, it was previously signed to Slugfest/Warner Bros. records. The label released its first album, Eudaemonic, but the band left the label due to lack of help in touring. Alright, Junior has since remained unsigned but hasn’t given up on looking for a label. “We’re really just shopping around right now for labels in the hopes of finding one that will support us in what we’re doing,” Miller said. The band recorded its five-song EP, Our Temporary Everything, at Big Blue Meenie studios this past summer. Since its release, it seems the band’s hard work is finally paying off. 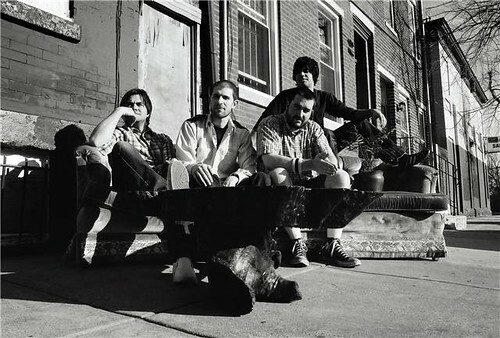 The band’s song “Fish vs. Ambulance,” with its swift, 1990s-alternative-esque riffs, has been played on several of Philadelphia’s rock stations. Despite no major touring, the band has continued to make rounds along the East Coast and routinely play at the Khyber. Blending a multitude of sounds, Oso takes members’ different musical interests and backgrounds and creates a simple rock sound reminiscent of the more slow-paced, California groove-rock bands. The end result? The Beatles, Sublime and psychedelic rock all rolled into one.